Calling all lovers of dressage, Prosecco or both! This is the T-shirt for you featuring the legend #Piaffe, Passage & Prosecco# in metallic rose gold print print, with matching topstitching and the Hy logo at the hemline. 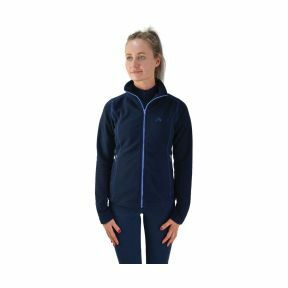 HyFASHION Mizs Arabella Full Zip Fleece This lovely fleece jacket combines comfort, warmth and style all in one. A grey full length zip and grey pocket zips create a fully co-ordinated look to match the grey collar lining. The Hy Logo is subtly embroidered on the back of the stand-up collar. Practical, smart and warm, a great addition to any equestrian wardrobe. A brand new hoodie, perfect for both on and off your pony. Combining comfort, warmth and style, this will be a new favourite. With the beautiful contrasting grey and pink colours, this hoodie stands out from the rest. Advanced material lining is used to keep the rider comfortable and warm whilst outside with their pony, along with tailored cuffs and waist for the best fit. 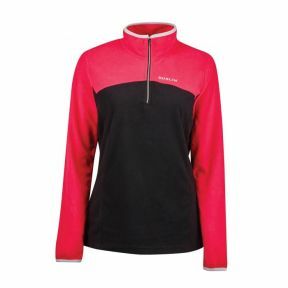 Dublin Odelia ¬ Zip Thru Top is a cozy and warm ¬ zip top which is lightweight and perfect for layering. Contrast zipper and binding adds extra detail, the perfect winter wardrobe staple piece. Made from a soft fleece fabric in a collection of fun and practical colours. 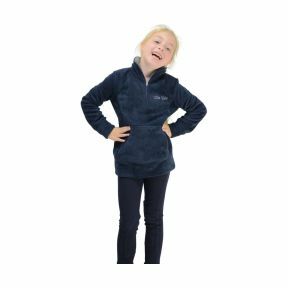 The soft outer is complemented by a durable inner for long lasting wear - making the fleece perfect for kids to wear on cold wintery days. The fleece also features a half zip neck to make dressing easier, whilst the lined collar is the perfect addition for when the cold strikes.